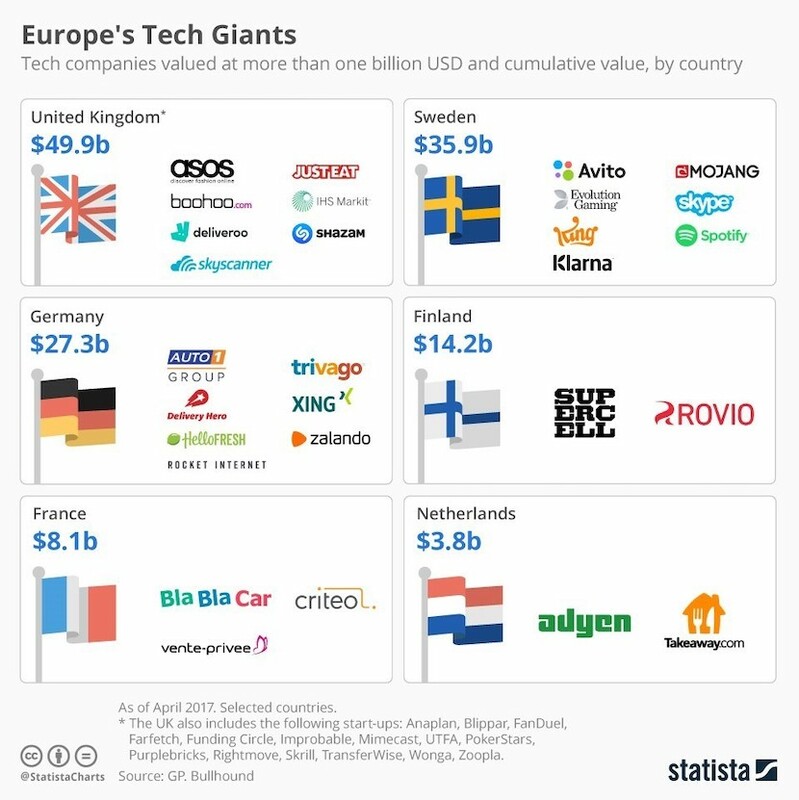 (Bloomberg Opinion) – The perennial worry about European technology is that there isn’t a consumer-facing giant to rival the size of Apple Inc., Google parent Alphabet Inc., Facebook Inc. and Amazon.com Inc. In one fell swoop, it’s about to get one. Sort of. 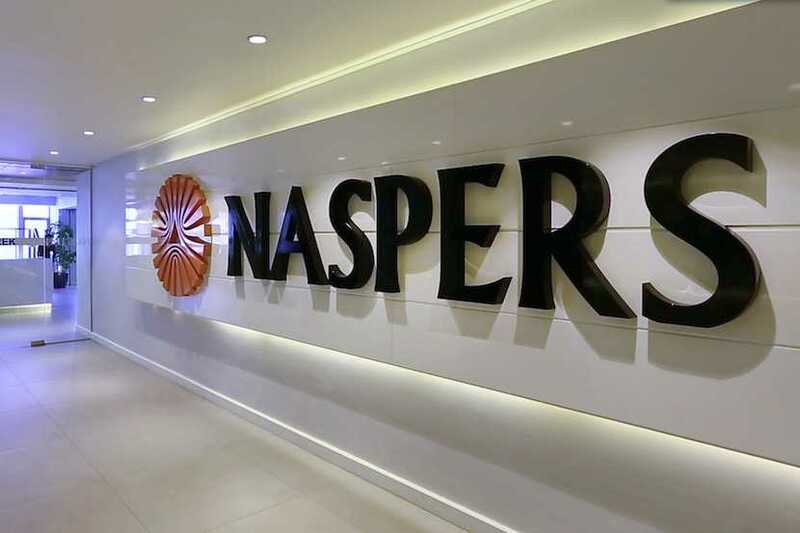 Naspers Ltd., South Africa’s most valuable company, plans to list its internet businesses in Amsterdam by distributing a stake of about 25% to existing shareholders, while retaining the rest of the new holding company. The valuation could top $100bn. The new company will be more akin to SoftBank Group Corp. That’s because the South African firm is largely a proxy for Chinese web behemoth Tencent Holdings Ltd., in which it has a 31% stake. Naspers derives all of its value from the investment – its holdings in the likes of Germany’s Delivery Hero SE and Russia’s Mail.ru contribute nothing. Considering that its Tencent holding is worth $133bn, but its market capitalisation is a humbler $98bn, the similarities to SoftBank are striking. The Japanese firm has a market capitalisation of $107bn, but its 29% stake in Alibaba Group Corp. is worth $132bn. Like Naspers, SoftBank has struggled to be seen by investors as little more than a proxy for Alibaba, and derives much of its value from the e-commerce company. And both are investors in startups. 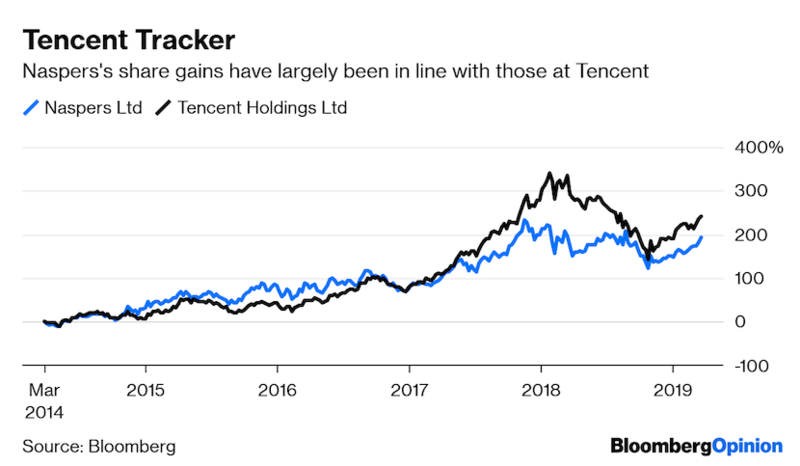 The South African firm last year raised $9.8 billion for such investments by selling a 2% stake in Tencent. But while Masayoshi Son splashes his cash on a remarkable range of businesses, Naspers has adopted a narrower focus, targeting social platforms, e-commerce and payments. Naspers move is positive for the region’s tech. The new firm – called NewCo, for now – will surely be more inclined to invest in the continent. The board, management team and headquarters will be European, and that matters for directing new funds. 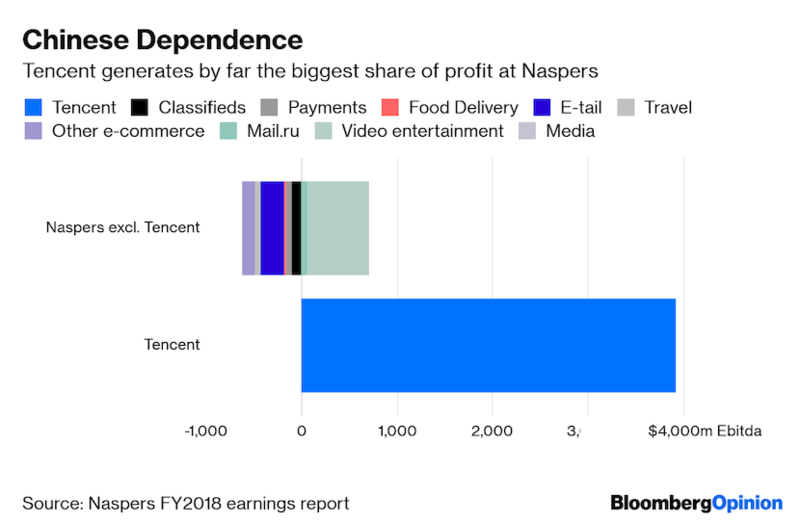 Naspers’s discount to the Tencent investment means the firm’s startup investments essentially have a negative value. That could change if, as Chief Executive Officer Bob van Dijk expects, the NewCo attracts new investors for whom it’s easier to invest in Europe than Africa, and the startup investments start generating cash.